This donut is what I wish I was having for breakfast this morning. A turtle donut with caramel glaze from Ashton of Something Swanky. 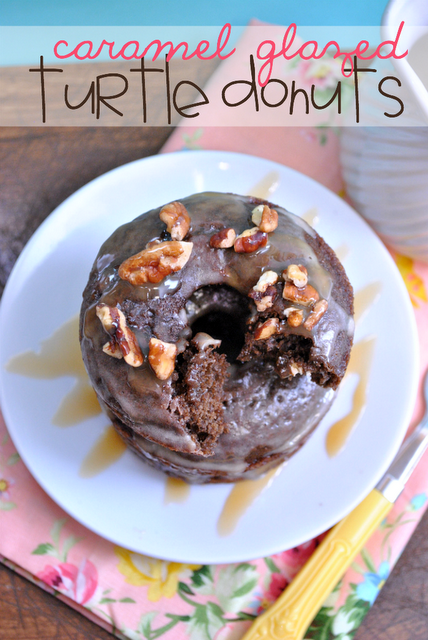 You can get the recipe for these delicious looking caramel glazed turtle donuts over at Nifty Thrifty Things.